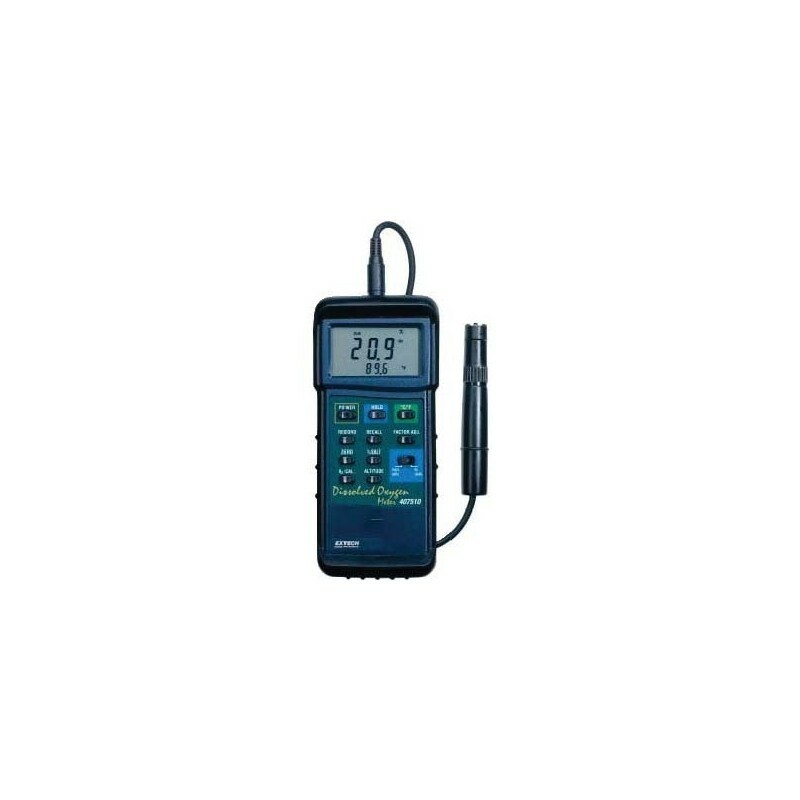 The CON-TROL-CURE® HEAVY DUTY DISSOLVED OXYGEN METER has dual display of oxygen concentration and temperature plus RS-232 PC interface. This unit features an extra large 1.4" (36 mm) LCD, dual display of oxygen and temperature, and automatic temperature compensation from 0 to 50C via temperature probe sensor built into the polarographic type oxygen probe. 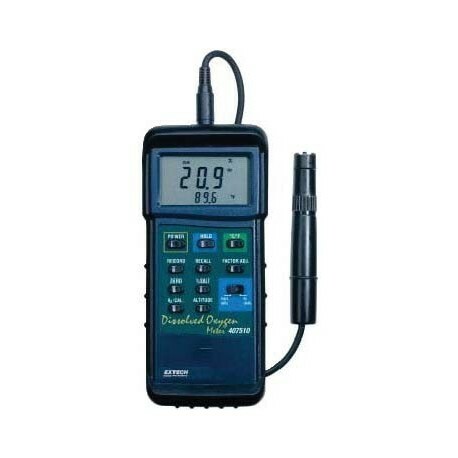 It quickly measures (0.8 second sampling time) dissolved oxygen from 0 to 20.0 mg/L and 0 to 100.0% oxygen plus temperature from 32 to 122F (0 to 50C). Comes with 0.8" (20 mm) diameter probe on 44" (1.1 m) cable and 5 membranes.